KBB.com 10 Best All-Wheel-Drive Vehicles Under $25,000. Only 30,794 Miles! 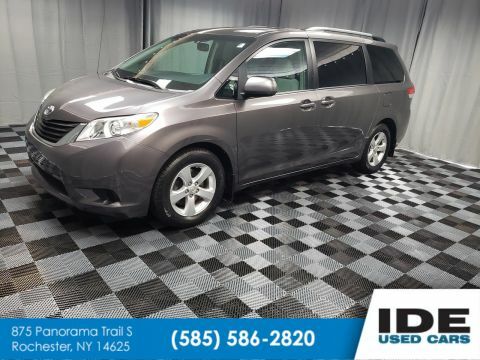 Boasts 29 Highway MPG and 22 City MPG! Carfax One-Owner Vehicle. This Toyota RAV4 delivers a Regular Unleaded I-4 2.5 L/152 engine powering this Automatic transmission. Wheels: 17 x 7.0J 5-Spoke Superchrome Alloy -inc: caps, Variable intermittent wipers, Urethane Gear Shift Knob. 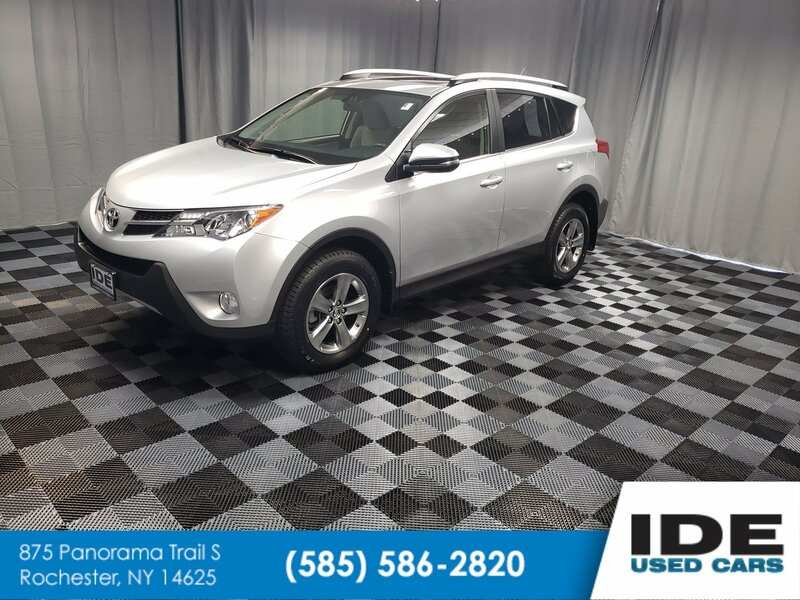 * This Toyota RAV4 Features the Following Options *Trip computer, Transmission: 6-Speed Automatic, Transmission w/Driver Selectable Mode, Sequential Shift Control and Oil Cooler, Tires: P225/65R17H AS, Tailgate/Rear Door Lock Included w/Power Door Locks, Strut Front Suspension w/Coil Springs, Steel Spare Wheel, Split-Bench Front Facing Rear Seat, Single Stainless Steel Exhaust, Side Impact Beams. * Feel Confident About Your Choice *Carfax reports: Carfax One-Owner Vehicle, No Damage Reported, No Accidents Reported, 18 Service Records. * The Votes are Counted *KBB.com 10 Best All-Wheel-Drive Vehicles Under $25,000, KBB.com 10 Best SUVs Under $25,000. * Expert Reviews! 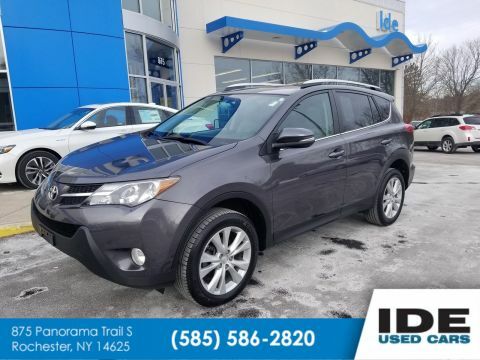 *As reported by The Manufacturer Summary: The 2015 RAV4 captures the spirit of freedom that began with the original RAV4, yet breaks new ground in refinement, practicality and technology. The traditionally mounted spare now resides under the cargo floor so that the RAV4 now has a true liftgate, opening up instead of out. Opt for the RAV4 Limited and you'll get a power liftgate with jam protection that even offers height adjustment. From its efficient engine to its new 6-speed automatic transmission and updated suspension, RAV4 is every bit a driver's machine. It's now available with the all-new Dynamic Torque-Control All-Wheel Drive system. It improves handling by distributing power from front to rear, and manages the vehicle's braking system from side to side for maximum control. RAV4's standard 2.5L engine produces 176hp along with 172 lb.-ft. of torque to make short work of long roads. With the pull of a handle, passengers can recline the rear seatbacks and enjoy the ride. Even with all the leg room offered by RAV4's interior, there's still plenty of room for your gear. In fact, you can stow up to 38.4 cubic feet of cargo with the rear seatbacks in their upright position. You can even fold the second-row seats in seconds by pulling the handle up and lower the seatbacks to create a wide, flat load space with 73.4 cubic feet of cargo capacity. Optional features now include Blind Spot Monitoring with Rear Cross-Traffic Alert which provides audible and visual cues when the RAV4 detects oncoming traffic. The available Smart Key fob allows you to lock and unlock the doors and liftgate with one touch and start the vehicle with the push of a button, Display Audio with Navigation and Entune, 11 JBL GreenEdge speakers in seven locations with a subwoofer and amplifier. * Stop By Today *Stop by Ide Honda located at 875 Panorama Trail South, Rochester, NY 14625 for a quick visit and a great vehicle!